The Reds recently parted ways with Dominic Solanke on a permanent basis to Bournemouth and the overhaul is expected to continue with Daniel Sturridge and Divock Origi likely to leave Anfield in the next six months. Due to this, Klopp is understood to be assessing options to reinforce the attack front and Evening Standard claims that Werner is the prime target on the German's wishlist. 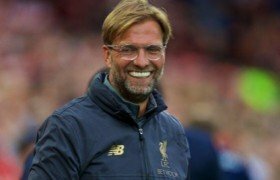 Nonetheless, the Merseyside outfit are unlikely to have a clear route to the former Stuttgart ace with Borussia Dortmund and Bayern Munich prepared to tempt him to remain in the Bundesliga. Werner currently has just 18 months remaining on his existing contract at Leipzig and so far, he has shown no desire of extending his deal with the club which may tempt them into a summer sale.